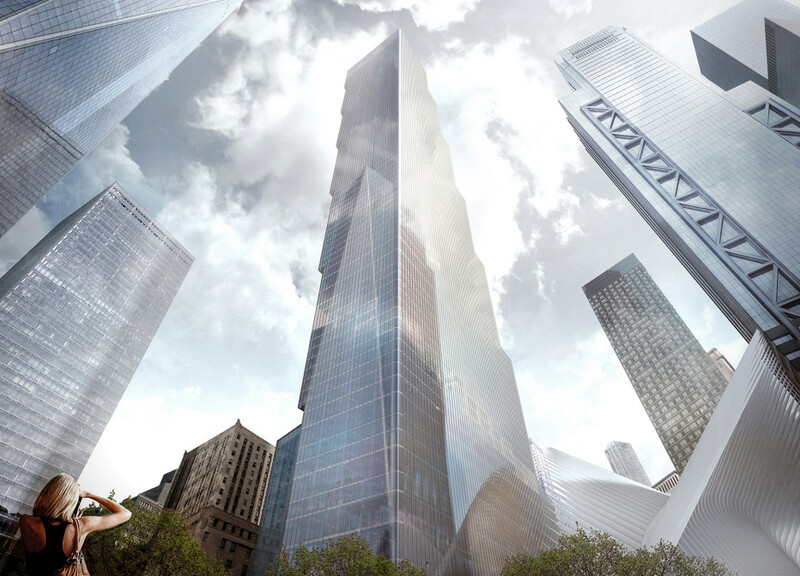 Silverstein Properties, Inc. chairman Larry Silverstein has said construction may begin on the final World Trade Center tower before a committed tenant signs a lease, Bloomberg reports. Following work on the building’s foundation, the developer was waiting to progress with further work until a lease was signed. But optimism about the economy and strong leasing progress at neighboring towers may mean the building might rise “on spec.” The 2.8 million-square-foot office tower, designed by Bjarke Ingels Group, will be the last of Silverstein’s four skyscrapers to occupy the site. 2 World Trade Center represents the completion of Silverstein’s Financial District reconstruction–he also built towers 3, 4 and 7–after the Sept. 11, 2001 terrorist attacks. Renderings show a staircase-like outline for the 80-story building’s exterior, with floor-to-ceiling windows. Inside there will be basketball courts, a running track and rooftop parks. Finding a primary tenant for 2 World Trade center has been a challenge given the competition from a recent crop of new office towers including the new Hudson Yards development as well as the lower Manhattan location. Several companies had considered moving to the new tower including Citigroup Inc and Rupert Murdoch’s 21st Century Fox Inc. and News Corp. The latter opted to stay in Midtown and the former chose to remain in Tribeca. Silverstein has, however, brought several top tenants to other World Trade Center buildings including Moody’s Corp. and Spotify Technology SA.